The Avanity 24-inch x 30-inch poplar wood framed mirror features a Taupe Glaze finish and a simple clean design. It matches with the Delano collection for a coordinated look and includes mounting hardware for easy installation. The mirror hangs horizontally and vertically. The Avanity 28-inch x 32-inch poplar wood framed mirror features a contemporary white finish and a simple clean design. It matches with several collections (Brooks, Modero, Tribeca) for a coordinated look and includes mounting hardware for easy installation. The mirror hangs horizontally and vertically. 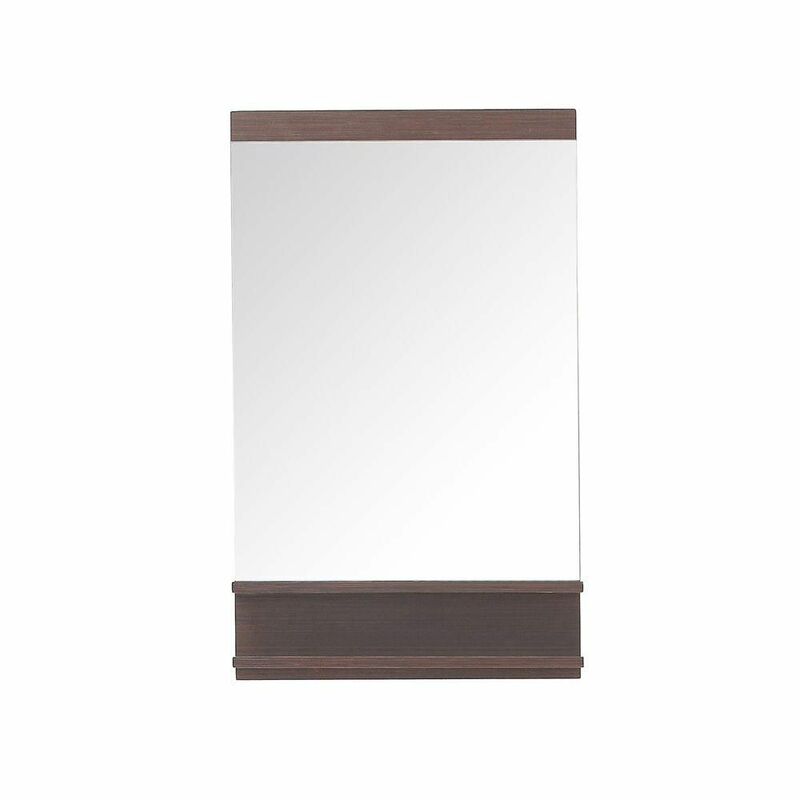 Simple wood frame rectangular mirror features high quality mirror to prevent rusting caused by bathroom humidity.27.6Wx2Dxx36.6H * ** * Birch* walnut * No Assembly Required Faucet and mirror not included. Professional installation recommended. Solid wood frame with mirror, shelf on the bottom of the mirror add extra shelf space. Dimension: 22Wx4Dx31.5H * ** * Birch* Medium walnut* No Assembly Required Faucet and mirror not included. Professional installation recommended. Milo 35-inch L x 22-inch W Wall Mirror in Iron Wood The Milo Collection brings a dash of contemporary style to your powder room or bathroom. Pair the Milo vanity with this matching 22-inch x 35-inch mirror and you creates an unbeatable combination of style and function. 2 wood shelves provide a place to put your things and the Iron Wood finish pleases the eye.